Home Business4Law Marketing Law Firms Avoid These Mistakes in Your Attorney-Client Newsletters! Newsletters work – that’s why so many lawyers and accountants use them. Their marketing magic lies in keeping you constantly top-of-mind with your target market in the most professional way possible. In the old Dinosaur Days newsletters tended to be print affairs, often in black and white to save cost, and as grey and boring in format as they were in content. In 2018 it costs you nothing to tell your readers that you are a modern, accessible, Internet-savvy firm by emailing your newsletters to them in a bright, contemporary format. 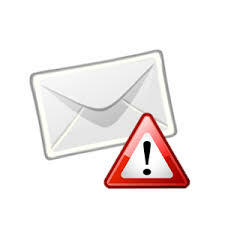 Bad idea – rampant cyber-crime means attachments signal “Danger, Malware!” to most of us. Rather use html to embed your newsletter into the actual email. Content as always is King – you only engage your readers when you give them value by telling them something they want to hear. In every article cover something interesting and useful. Avoid theory and academia – it may fascinate you, but it’s a major turn-off for the average client. Of course you want to tell your clients about your full spectrum of services and about how great you are at providing them. But tell them subtly – openly turning your newsletter into one long advert is about the most counter-productive thing you can do. Your newsletter’s design is critical here, and calling in some marketing expertise to help you will pay handsome dividends down the line. We live in an age of information overload. Short and punchy beats long and long-winded every time. (Is “jargoning” even a word? It’s such a common mistake with professionals that if there isn’t such a word, there should be!) The point is that whilst you are comfortable with your own profession’s obscure jargon and technical terms, to Joe and Mary Client they are confusing and even intimidating. Only use jargon where you have no choice, and then explain what it means clearly and simply as you go along. The whole idea is to get your name and branding in front of your clients regularly. Not too often – a weekly newsletter for example risks annoying everyone. On the other hand you won’t benefit from the “spaced repetition” effect (imprinting your firm into your client’s long-term memory banks) if you go the annual or bi-annual newsletter route. Go rather for the “Goldilocks Zone”. Monthly is ideal for most firms. There is so much spam and malicious email around these days that even the cleanest of genuine mail sometimes ends up being blocked in error. Minimise that risk by checking for common “trigger” words and phrases, and by using a reputable bulk-mailing service rather than MS Outlook. Prioritise this one – getting blacklisted by one of the BlackList Domains could result in your whole domain and email system being blocked. Creating a quality newsletter needn’t be hard, it needn’t take up large swathes of your billable time, and it needn’t be expensive. For all but the largest law firms and accountancy firms, outsourcing your newsletter to a consultancy specialising in professional firm marketing makes more sense than trying to do it yourself. Just make sure that you get a quality product at a reasonable price – we have seen a lot of under-delivery and a lot of over-charging out there! Of course you may be inundated with new instructions after your first newsletter, but it’s much more likely that the benefits of remaining top-of-mind with your clients and prospective clients will take time to manifest. Remember, you are building long-term relationships, so patience is key. Don’t bullet your newsletter just as it is about to produce results. The fact is that sooner or later a regular, quality newsletter will bear fruit. Just keep a sharp eye open for the common mistakes listed above! Contact us for more – we are specialists in law firm marketing and in accountancy firm marketing.